Wai’aha Kona: We Need Teachers! Parents & Teachers Work as a Team: Working with U of N staff and local community families for 20 years, we have seen that, with training and support, parents can become effective teachers of a range of academic subjects and life skills. Many have discovered they are wonderfully gifted. When parents are equipped to teach, it allows families to be more mobile in their missions calling, and gives them new skills to influence families, communities, and even nations, in the area of education. 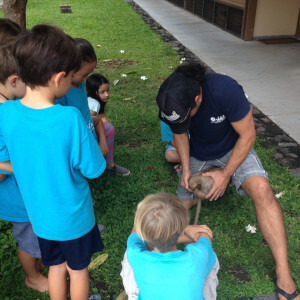 Parents are all involved in the Wai’aha classrooms in some way. Some learn to be effective, ʻlead teachersʼ for a whole class, others teach small groups, and others serve as assistants. Parents also help with administration and other practical areas like cleaning, as guest speakers, and on field trips etc.. Parents and trained teachers are also going out from working with this school model to take a lead in seeing it reproduced in other places. Trained and experienced teachers are also a vital part of Wai’aha. Their experience and availability provides strength, wisdom and support in the classroom and in parent-teacher training, curriculum development, addressing special learning needs etc. Whatever their role, they are important partners to serve with, strengthen,train, and equip parents to take part in the education of their children. Long term teachers need to have completed a YWAM Discipleship Training School, other volunteers may serve for up to 3 months. Are you a trained teacher with a passion to see children grow in their love for God and for learning? –flexible? –a learner?–wanting to pass on the wisdom and skills God has given you & help pioneer in other places? –with a heart to see the families and children of the nations discipled? Copyright Wai'aha International Family School. All Rights Reserved.